My oh my, such eyes you have. The original eyes on our skeleton were just black holes. Quite effective but lets dial it up and make him scarier just in time for halloween! How could I resist the temptation? 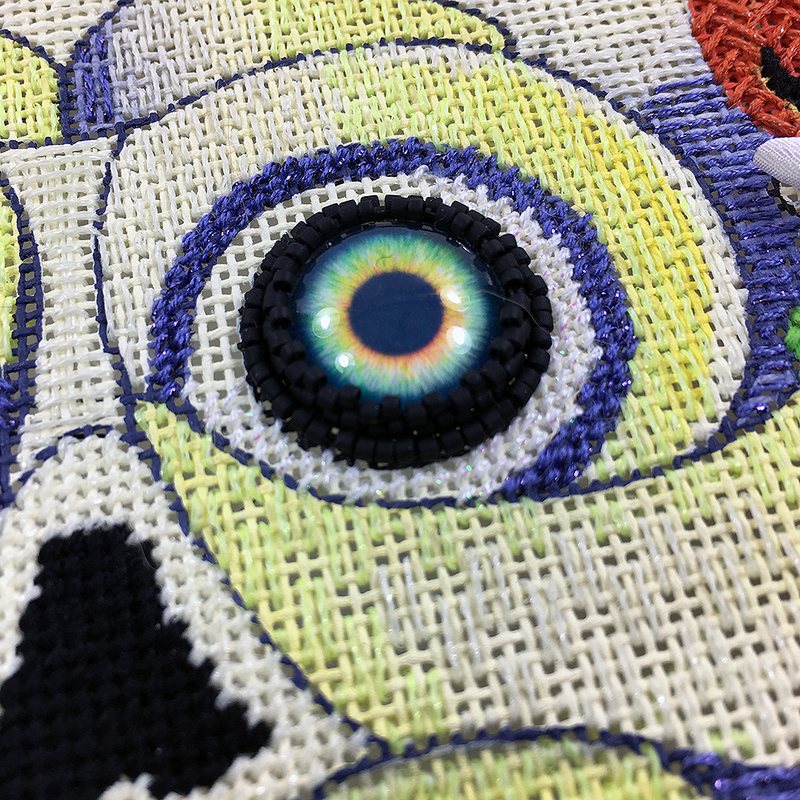 These are glass zombie eyes. If I could have made them twirl I would have, hee hee. Today was lesson 4 of Boo by David Galchutt. This is our current mystery class and it is full of surprises. One of the surprises was the amount of Basketweave 🙂 JK. 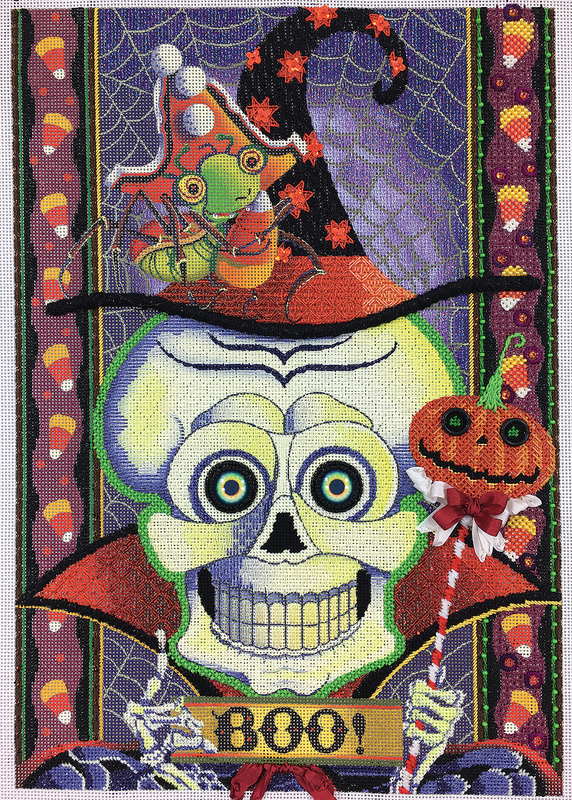 For me it was a lot of basketweave but it was the best choice for his bony hands. 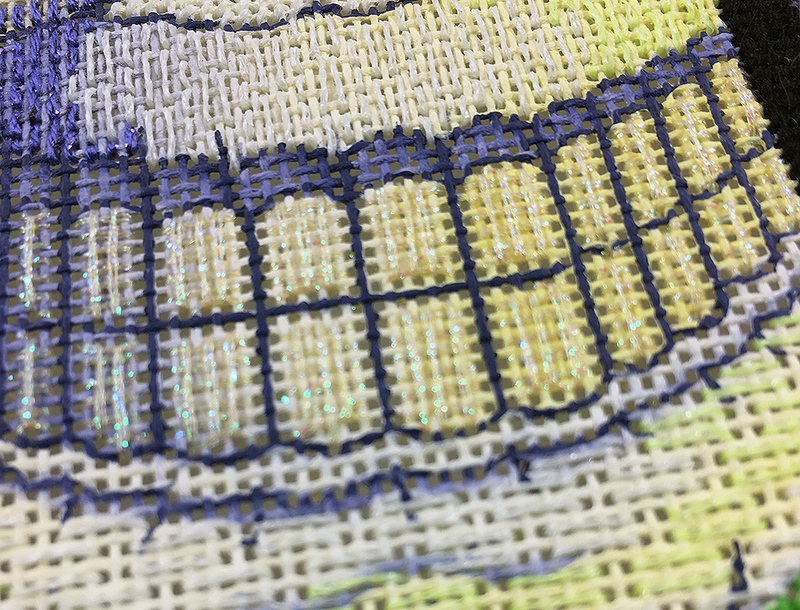 His teeth are super quick, glistening long stitches of Accentuate was just the thing to capture the icky yellow teeth. Last but not least was the pumpkin head on a stick. 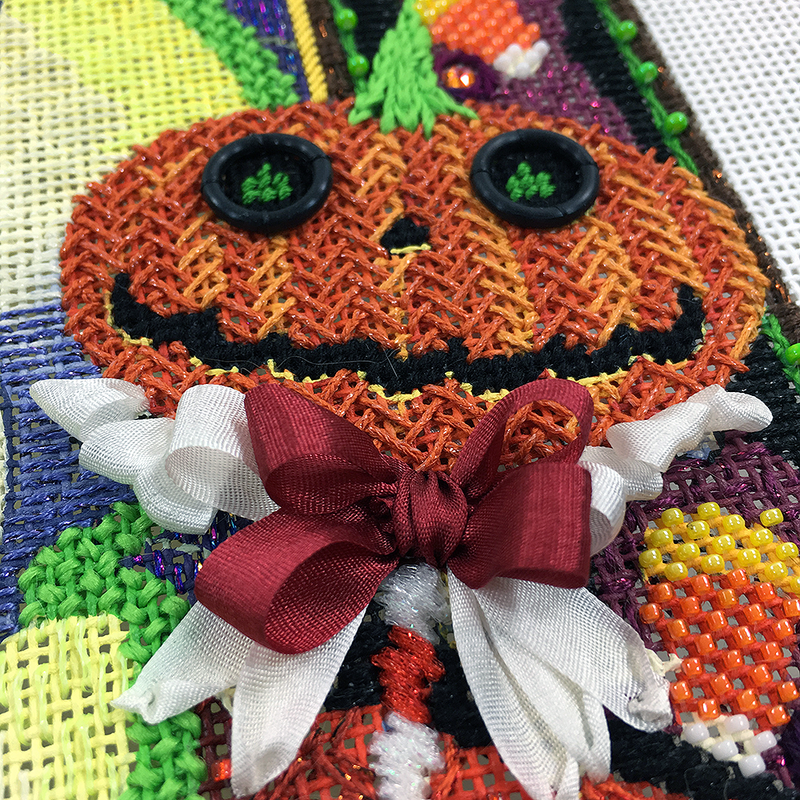 Pumpkins are a challenge to stitch. 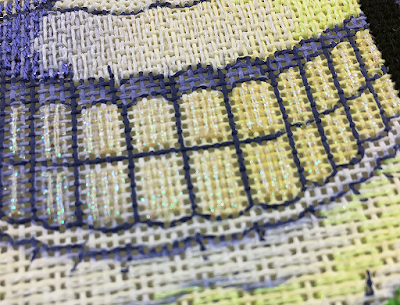 I always want the ridges and shading to show so not every stitch works. This one did! Again, I love his eyes. Rings made the perfect frame for them so they look extra special. The next lesson is not for a month! We have two big classes in between. Watch for the next lesson of Santa Fe Felines to be releases too. Always something fun going on.